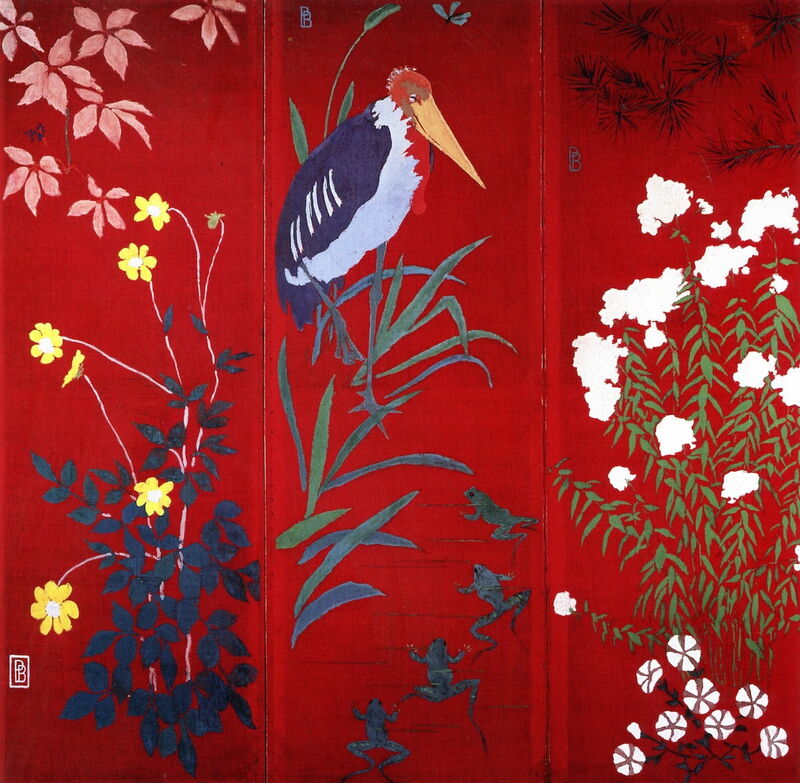 Pierre Bonnard (1867-1947), Stork and Four Frogs (c 1889), distemper on red-dyed cotton fabric in a three paneled screen, 159.5 x 163.5 cm, Private collection. The Athenaeum. At some stage in the dim and distant past, our ancestors discovered that processing some natural products created glues. The raw materials either came from boiling animal bones, hide, and other offal, or from natural exudates of plants. In turn, these came to be used as the binder for paints. Being ancient in origin, different combinations of binder, pigment, and other substances developed, and these have left a confusion of terms, including glue tempera, and distemper. These represent a spectrum of paints, ranging from those in which only glue and pigment are used, to others which also incorporate substantial amounts of powdered chalk or lime, and are related to whitewash. I will here use the term glue tempera to include them all, as in fine art painting glue is the essential binder, and the addition of chalk or lime primarily makes them opaque, and contributes relatively little to the mechanical properties of the paint layer. ‘Drying light’, a marked colour change which occurs as the paint dries, reducing the intensity of chroma. Mechanical fragility of the paint layer, which is particularly susceptible to abrasion and/or cracking. Solution on re-wetting, so that glue tempera can easily be reworked (like watercolour), but is unsuitable for exposure to water or damp. Hardening of the glue binder is not the result of a stable polymerisation, and can readily be reversed. Relatively poor protection of light-sensitive pigments, leading to fading of colour over time. In the early Renaissance, some artists used glue tempera extensively, and with great success, although surviving works have not aged as well as those painted using egg tempera or oils. Dieric Bouts (c 1420–1475), The Entombment (c 1450), glue tempera on linen, 87.5 x 73.6 cm, The National Gallery, London. Wikimedia Commons. 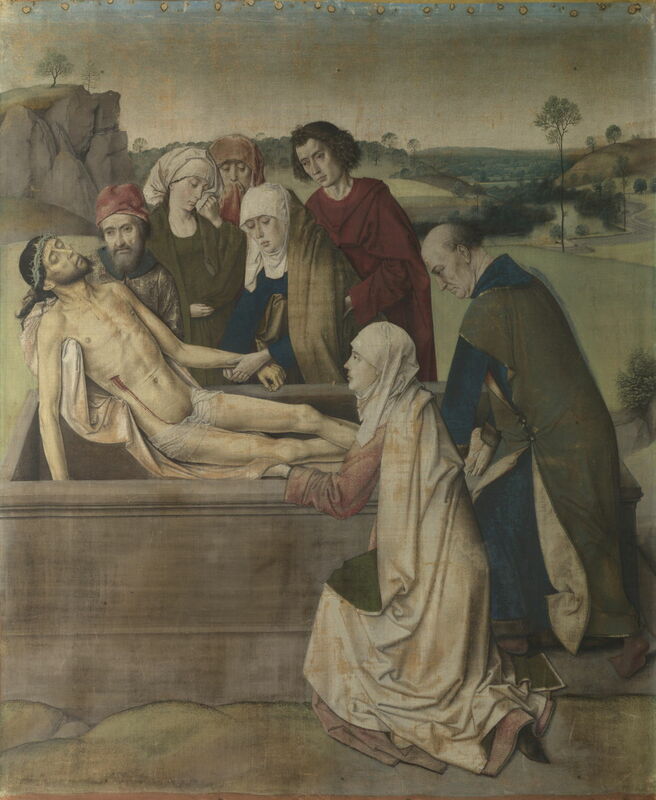 Dieric Bouts’ The Entombment from about 1450 was painted using glue tempera on linen. Although it is well over half a millenium old, its colours have sadly faded, but it is well worth seeking out when you next visit The National Gallery in London. 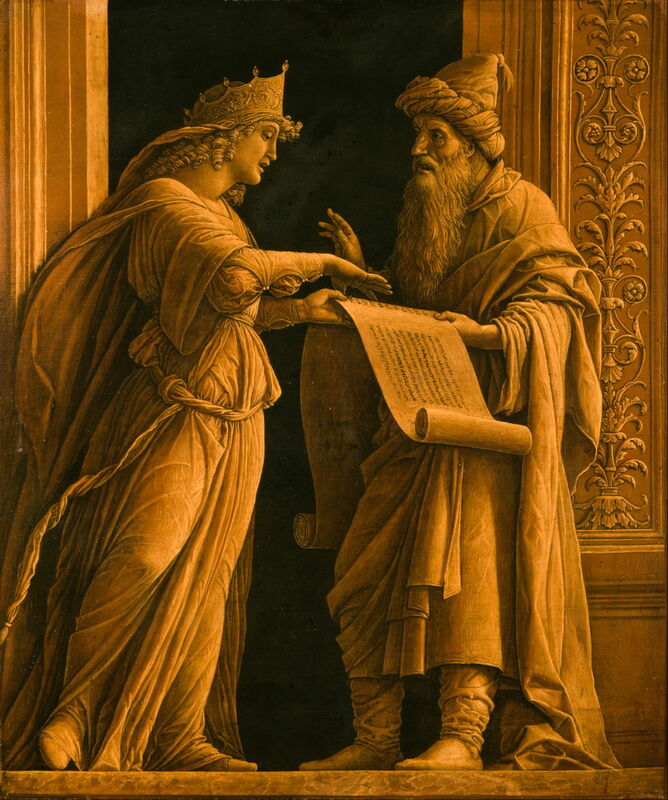 Andrea Mantegna (1431–1506), A Sibyl and a Prophet (c 1495), distemper and gold on canvas, 56.2 x 48.6 cm, Cincinnati Art Museum, Cincinnati, OH. Wikimedia Commons. In the south of Europe, Andrea Mantegna was one of its great exponents, as shown in his marvellous glue tempera and gold painting of A Sibyl and a Prophet from about 1495. 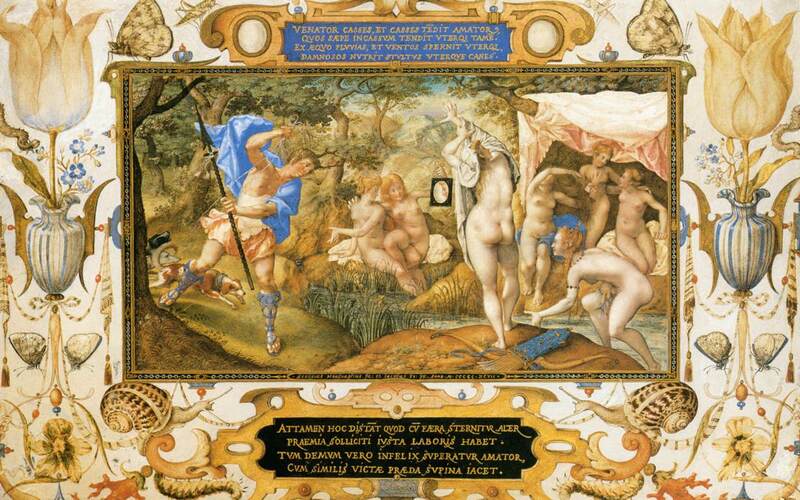 Joris Hoefnagel (1542–1600), Diana and Actaeon (1597), distemper and gold on vellum mounted on panel, 22 x 33.9 cm, Musée du Louvre, Paris. Wikimedia Commons. Some artists, such as Joris Hoefnagel, continued to use these ancient techniques, as shown in this painting of Diana and Actaeon from 1597. This is finely executed in glue tempera and gold on vellum. With the widespread adoption of oil paint, glue tempera almost disappeared until it was revived at the end of the eighteenth century by William Blake. Blake painted a series of major works in what he termed tempera, which use glue as their binder. 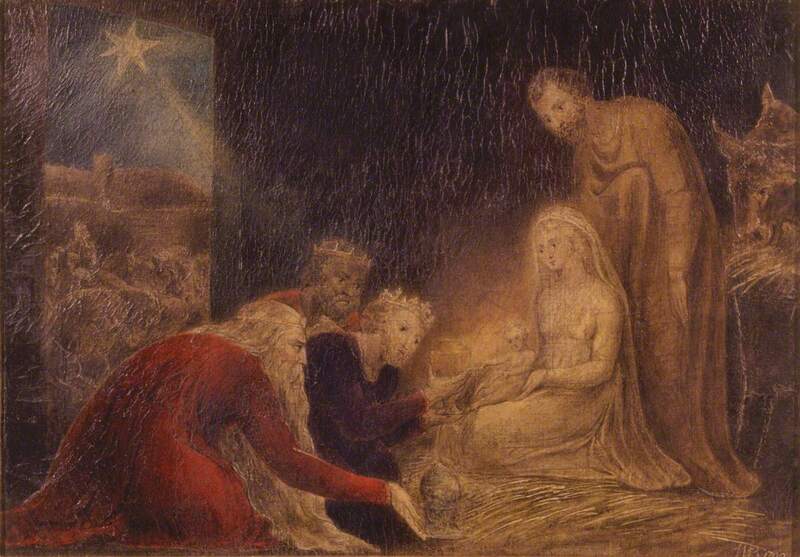 This Adoration of the Kings from 1799 shows the dulling of colour and fine cracking from his use of stretched canvas as the support. 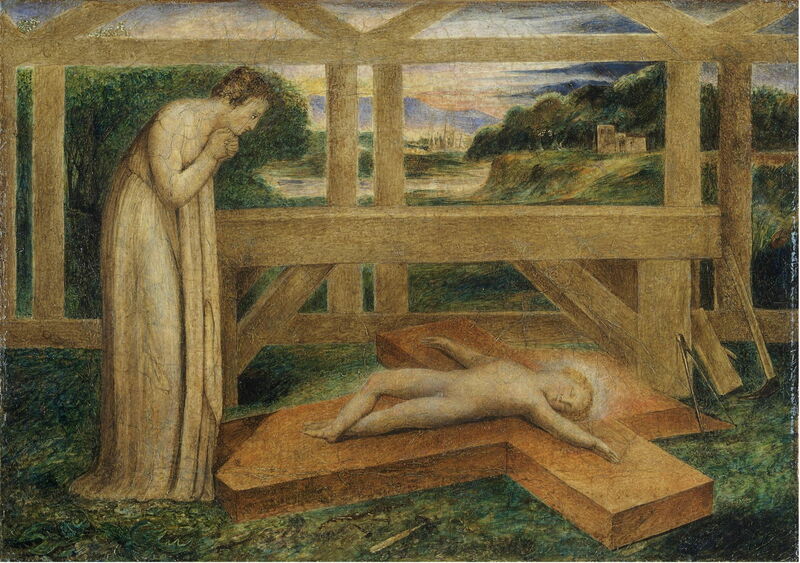 Some of Blake’s glue tempera paintings have survived in much better condition: The Christ Child Asleep on the Cross, or Our Lady Adoring the Infant Jesus Asleep on the Cross from 1799-1800 has fared better, retaining more of his original colour. 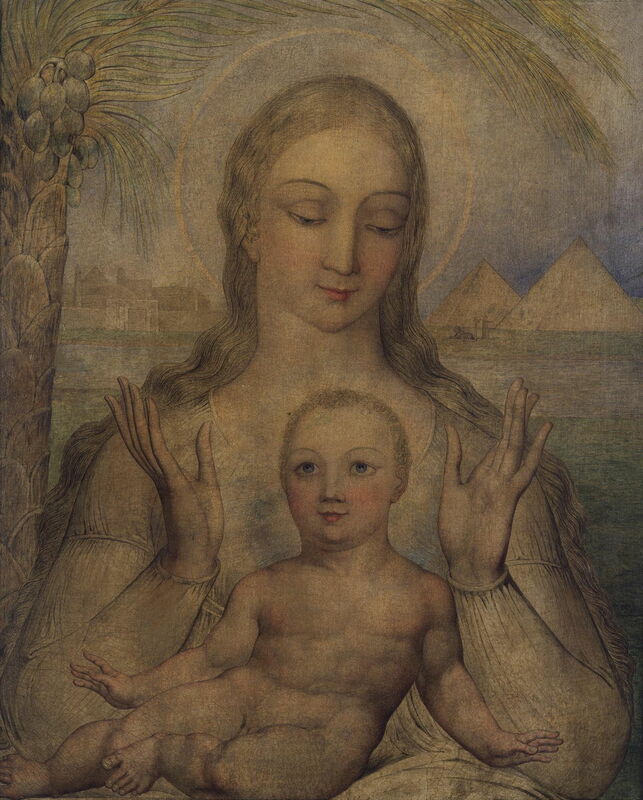 Paintings such as Blake’s Virgin and Child in Egypt from 1810 show the fine modelling he was able to achieve in the figures. Overall, though, the condition of his glue tempera paintings is not good. It has been suggested that some of the variation is attributable to different sources of glue, which is clearly of major importance. For a long time, glues provided for this and similar purposes in painting have been referred to as ‘rabbit skin glue’, but in reality the great majority are derived from a wide range of animal products, often in uncontrolled conditions. After Blake, the medium fell into obscurity again until later in the nineteenth century, when it was revived by movements which attempted to return to techniques of the past, most prominently the Nabis in France. Pierre Bonnard used glue tempera very early in his career, when painting this exquisite three-panelled Japoniste screen of The Stork and Four Frogs in about 1889, as the Nabis were forming. Using more modern pigments, Bonnard has achieved very high chroma, comparable to anything in oils, and quite unlike more traditional glue tempera. Odilon Redon (1840–1916), Buddha (1904), distemper on canvas, 159.8 x 121.1 cm, Van Gogh Museum, Amsterdam. Wikimedia Commons. 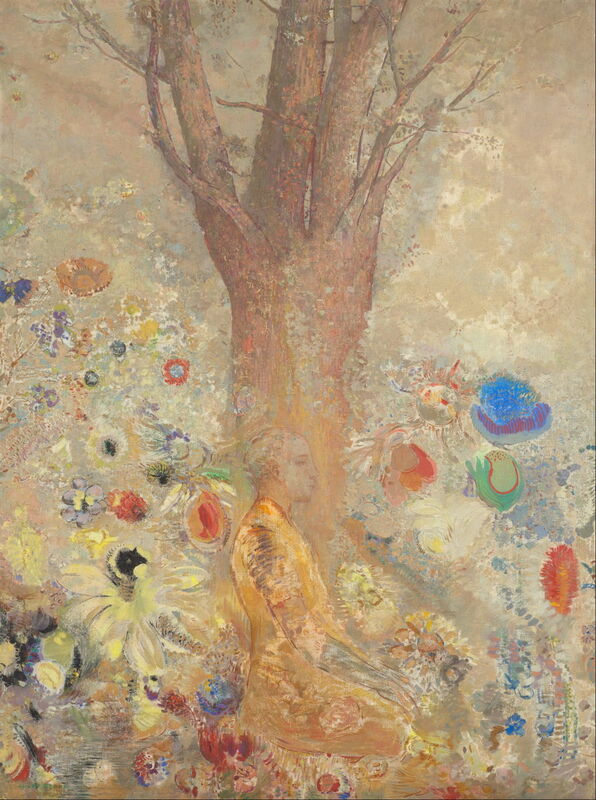 Odilon Redon experimented with glue tempera in this painting of Buddha from 1904. 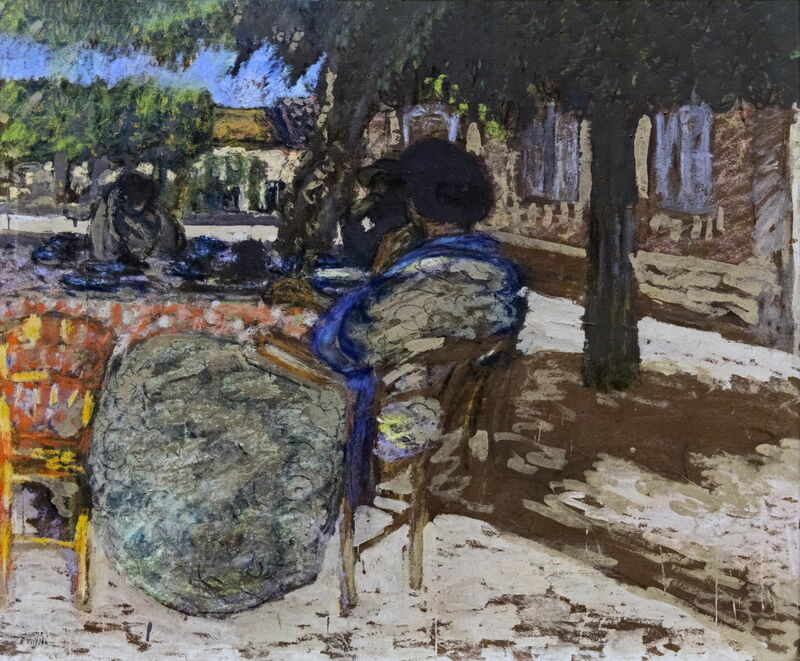 Édouard Vuillard (1868–1940), Under the Trees of the Red House (c 1905), distemper on paper, 106 x 127 cm, Musée des Augustins de Toulouse, Toulouse, France. Image by Didier Descouens, via Wikimedia Commons. Édouard Vuillard used glue tempera in a significant number of his paintings both during his Nabi period and later, for example in this view Under the Trees of the Red House from about 1905. Édouard Vuillard (1868–1940), At The Pavillons in Cricqueboeuf. In Front of the House (1911), distemper on canvas, 212 x 79.8 cm, location not known. Wikimedia Commons. My final example is another of my favourite paintings in glue tempera, again by Vuillard: At The Pavillons in Cricqueboeuf. In Front of the House, from 1911, which shows how effective the medium can be. Glue tempera remains in use today by a very few artists. Posted in General, Life, Painting, Technology and tagged Blake, Bonnard, Bouts, history of painting, Hoefnagel, Mantegna, painting, Redon, Vuillard. Bookmark the permalink.